So far, we’ve secured support for the course from a great list of industry guest speakers who will be contributing throughout the programme. Neil McKay has helped five companies develop their operations over the past 20 years. His orbit of experience covers publishing and digital. 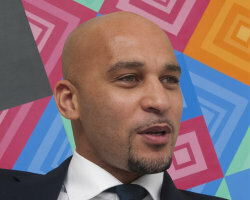 Neil became a professional footballer at 16 and has continued to set himself different challenges all through his working life. His latest company, Lakestar, was sold to the NYSE-listed Interpublic subsidiary McCanns in 2012 for an undisclosed eight-figure sum. Nicky has worked on the client and agency side. In 1996 she joined the ad agency Barrington Johnson Lorains when there were 19 staff. A few years later she led an MBO and today the agency (BJL) employs around 70 staff. In pre-recession 2008, BJL enjoyed turnover of £9.3m and profits of circa £850k. Unsworth and her management team restructured the agency when the recession hit and when sales fell sharply but in its latest accounts, BJL had sales of £5.7m with profits up to a record £977k. Iain has the benefit and substantial experience of operating people businesses both in and out of the Advertising industry. In 2004 he was part of the MBO team. 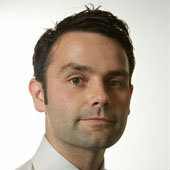 Neil has over 20 years of financial and commercial experience both in public practice and agency side. An accountant by training, he joined Creative Lynx from Baker Tilly in 2004 as finance director and subsequently became MD as he led an MBO from the founders of the agency. In 2012 he sold a minority stake in the agency to the French quoted marketing services group Havas. The company has now rebranded as Havas Lynx and Manchester is now the international HQ of the division. Neil is now commercial director of Havas Lynx which has offices in Manchester, London, Paris and New York and employs over 200 staff. 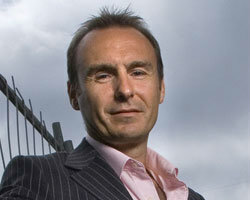 The 2011 Managing Director of the Year and 2012 Marketing Personality of the Year at the Marketing Industry Network Awards, Morrice established what became one of Scotland’s best-known and controversial ad agencies – Smarts. He sold Smarts for £3.2m to Citigate in 2000 and became a hired hand for Citigate again before taking control of B2B agency IAS in Macclesfield in 2007. 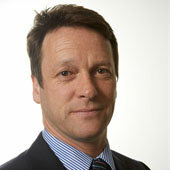 Rob led the merger of his B2B agency IAS with Stein last year to form Stein IAS of which he is now CEO (EMEA & Asia). It’s now a global agency with five offices in New York, London, Manchester, Paris and Shanghai and Morrice is CEO of all SteinIAS’s operations outside the US with offices in Europe and China. 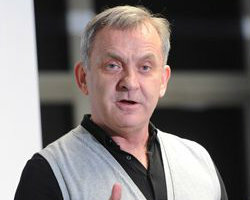 Carl began his career as an advertising executive before becoming MD of his direct response agency at which he later led an MBO before subsequently selling the agency in 2007. 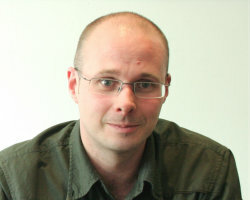 His current businesses include Kloog, Joblink Solutions and agencybods.co.uk. He also appeared in an episode of The Secret Millionaire where he lived on £63 in the North East. Brendan has written and managed a large number of modules in the subject of digital marketing communications during his time at MMU, bringing his commercial experience to bear in the classroom. He is currently the Programme Director for the MSc in Internet Retailing, and is undertaking PhD research in the evaluation of social media campaigns. Pete Wild qualified as a chartered accountant with PWC before moving into the private sector where he was the Finance Director for a number of companies. He is now a Senior Lecturer in Accounting & Finance at MMU Business School and his research interests include the relationship between owner-managed companies and their accountants, and the impact of capital structure on survivability amongst smaller firms (particularly those with EIS funding). 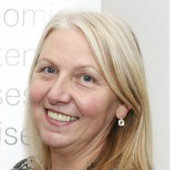 Ann is an Enterprise Fellow at the MMU Centre for Enterprise. She has a PhD in Organisational Transformation and runs her own successful consultancy business having a portfolio of clients ranging from start up businesses to large international organisations. 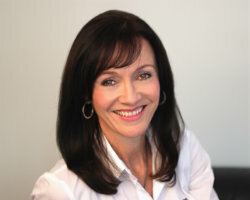 She is a business coach and in recent years has trained over 200 individuals to become accredited coaches. As a Programme Tutor with the 10,000 Small Businesses Programme and part of the team delivering the LEAD Programme at MMU Ann has supported a significant number of SME leaders throughout the North West.